Classic Firearms and Echoes of Glory Auction House, Virginia Beach, Va. When it comes to collectable revolvers, one Virgina auction house has seen some of the largest from the British Empire fetch attention and top dollar this past winter. British Lee-Enfield rifles and the Imperial Japanese Arisaka rifles (with the chrysanthemum stamp) have increased in value 100 percent over the last year. “Even the lowly imported Soviet 91/30 Mosin-Nagant rifles, historically low priced, have gone from being $89.95 bolt-actions to $150-$175 rifles in the last six months as supplies have dried up,” he adds. For firearm accessories, German military WWI and WWII Mauser bayonets are selling well, bringing $125 to $250 at auction depending on condition. 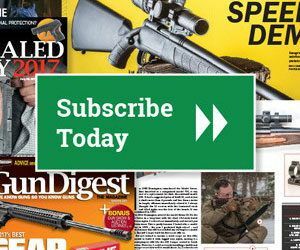 Editor’s note, this article originally appeared in the Dec. 16, 2013, edition of Gun Digest the Magazine.